With the cost of rent sky-rocketing, it’s hard to find a quality place to live that has enough space. If you’ve found yourself in this boat, you’re probably looking for ways to get the most out of your limited area, especially in the bathroom. The bathroom is a difficult place to organize because you think you don’t have many things, but when they’re all stuffed into a small area, you suddenly realize you have way too much. Thankfully, there are a few things you can do to get the most out of your small bathroom, without getting rid of anything! Counter space is a luxury in small bathrooms. While it might be a nice idea to spread all your things out over the counters, the best thing to do is to store your things up instead of out. Buy a few storage towers, some for your counters and maybe a few for the corners of the bathroom. You can put smaller things in these spaces, like clips, hair ribbons, etc. And, you’ll be taking up minimal space. No bathroom has enough drawer space. And while that big cupboard is great for a single layer of things, if you have more items than space, you’ll want to at least double that space. You can install slide out drawers, the kind that are used in kitchens, to add layers to your cupboard. Or, if you want several layers, try a lazy Susan tower. This will give you more space, plus the fact that it turns will help you get to your things easier. If you’re renting, you should check with the landlord before attempting this. But, walls and doors are often unused space in a bathroom, perfect potential for extra storage. You can hang extra towel roads that can be used for hanging storage containers, like mason jars or baskets. There are several options for hanging storage solutions online. If you have empty walls or a door without a towel rack, you can add as many as you like! Towels are a necessary evil in a bathroom. You need them, but they tend to take up a lot of space. For the towels you’re using, try adding coat hooks to the wall or behind the door. It will allow you to hang several towels, since towel rods tend to get full extremely fast, and it looks super classy. If you keep your extra towels in your bathroom, you can add a shelf along an empty wall or even above the door to store stacks of towels. If you have a little extra counter space, try rolling the towels and placing them in a basket, which works especially well with hand towels. Not in the toilet, but behind and above the toilet there’s usually a lot of unused space. 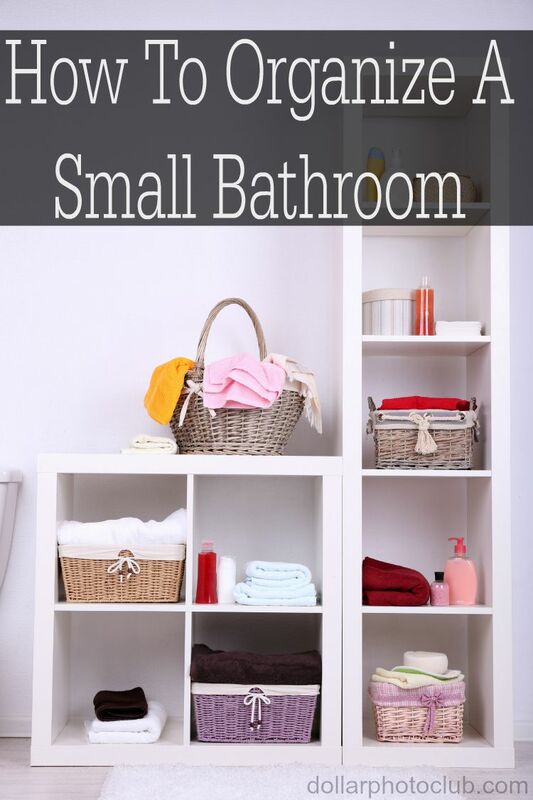 You can hang up shelves or baskets above the toilet to store things you don’t use as often. You can also find towers that will slide right around your toilet, giving you a great place to store extra toilet paper and cleaning supplies.